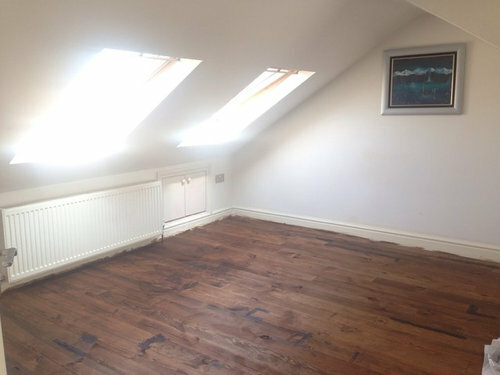 We just covered this attic bedroom with pine floorboards and after filling gaps with a paste of sawdust and wood glue and sanding and staining the floor theres visible patches of darker wood glue thats so visible! Anything we can do to save it?! Painting them is all I can think of, at least the gaps are filled. Ideally sanding back again would help. 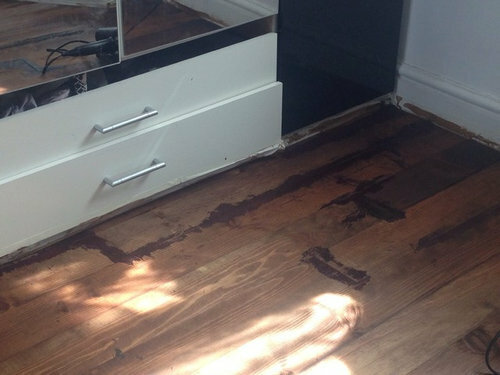 Alternatively find a dark woodstain that matches the fill to make the floorboards blend in. Unfortunately it appears you "skipped " a step in the sanding process, ie you should have sanded again [ 80 and 100 grit] after applying filler, then applied stain. The excess wood glue needs to be sanded off so it only remains in the patched areas, then revarnish/oil/wax, whichever you used! Could try just sanding the darker patches but might get a better result sanding it all again? 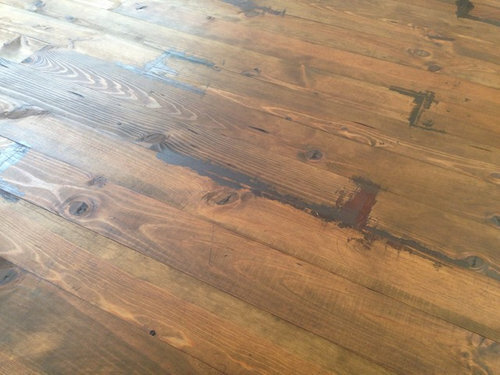 The floorboards are a really nice colour though, what did you use? In a new passive house, tiles or wooden flooring in open plan area. Help! Brand new floor bothering me - Replace it or live with it?